I’d like to introduce you to John Bragg – my “brother-in-law” who is married to my boyfriend’s amazing sister, Mary (complicated, I know!). John is many things: adventurer, entrepreneur, businessman, tequila expert, great husband, loyal friend, father, scholar, military historian, classical music lover and expert, mountain climber, gardener, kidder, but above and beyond ALL things, he is a great story teller. 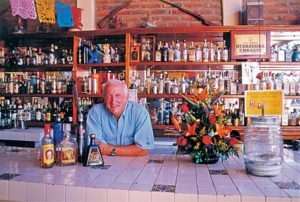 Just ask anyone who has had the courage to try to keep up with his pours of tequila and enjoy his stories while he holds court behind the bar! This is a story that he has written to clarify the details of his experience with the late, great Mohammed Ali – enjoy! 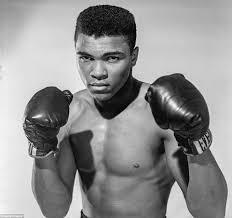 Muhammed Ali – The Greatest! “In 1970 I was the Athletes Representative for Adidas Germany. My responsibility was to identify athletes with international and Olympic possibilities, and to introduce them to the top technical advantages of Adidas competitive shoes. The end goal was to have them wear the Adidas label. At that time, Adidas was the leading company in the world for highly technical athletic shoes. I worked directly from the headquarters in Hertzogenaurach, Germany. My area of responsibility was Track and Field, Collegiate and NFL Football, Professional Boxing, and Cross Country Skiing. I had nothing to do with sales. It was my responsibility to select those athletes that I thought would have successful athletic careers, as professionals, record champions and Track and Field members of the next Olympic Games. My approach was to become acquainted with the athletes, provide them with competitive athletic shoes and discuss shoe improvements with them. On December 6, 1970 I had a telephone call at 3 AM. The call was from my boss, Horst Dassler, son of the founder of Adidas, Adi Dassler. Horst told me that Adidas had an agreement with Cassius Clay (later to become Mohammed Ali), and that Clay had told Adidas that he would no longer be wearing their equipment, including his upcoming fight on December 7 with Oscar Bonavena of Argentina. Horst said that they had their guys from Germany talk to him, including the German heavy weight Gold medalist from the last Olympic Games, without any luck. I was to go immediately to New York and fix the problem. I had not met Ali at that time, but I knew his trainer/manager Angelo Dundee. I called Angelo at his boxing gymnasium in Florida and asked him what the problem was. He told me that Bundee Brown, Ali’s spiritual adviser, assistant trainer, corner man, poet and speech writer had said that he shouldn’t wear Adidas shoes any longer because the Germans were those guys who killed all the Jewish people during WWII. Angelo told me they were moving up to New York right away and if I came over he would get me introduced to Ali. I flew to New York the next day, arriving at the St. Regis Hotel during a taxi strike, and showing up in California clothes during a snow storm. The next morning I met Ali at 5 am in the lobby of his hotel, which was on the other side of Central Park. Angelo told me that Ali and his boxing trainers would be going on a run before breakfast and I could talk to him at that time. In those days I was still running in 10 and 20 K’s and an occasional marathon, so I showed up in Adidas sweat clothes and running shoes. We went out into the Park with his two trainers who were huge black guys, bigger than Ali. I ran along behind them at what I felt was a pretty slow pace. We ran for a while and then went back to the hotel. Sitting in the restaurant with a frown on his face Ali said, “You laughed a few times, what was so funny?” I told him that before I left California one of my friends who was a native New Yorker said, “whatever you do, don’t ever go through the Park after dark, you’ll probably get beat up.” “I was laughing because I thought it would be pretty funny if someone tried to beat me up when I was running with you three guys.” They got a good laugh out of that and it loosened up our conversation. During breakfast I explained to him that the reason I was there was because Adidas had always produced the best athletic shoes in the world and it was because we depended upon the best athletes in the world to give us their thoughts about what could help us design better shoes in their sport. We discussed several things about shoe weights, foot support, traction, etc. His trainers left the table and Ali said that last night he had been at one of the famous discotecs with some friends and part of the entertainment was some dancing girls whom he said were very athletic and their footwork reminded him of his style of footwork in the ring. He said that they had short skirts that had ribbons around the bottom that swayed with their movements, much like he did in the ring. I couldn’t quite imagine what he was describing until he said “like the college kids wear on their hats”. He was talking about the tassels on graduation caps. Finally I had something that might bring him back to Adidas. He wore a size 11 shoe, so I called Adidas and placed a rush order of 3 pairs of white shoes with the Adidas’ three stripes in three colors and sizes: red, green and black in sizes 10, 11 and 12. They arrived at my hotel the next afternoon. Now, what about the tassels? I asked the doorman at the St. Regis Hotel if he knew where I could find a store that carried tassels; he didn’t know but said if anyone had it, it would be Macy’s. Next, arriving at Macy’s was a weird guy in California clothes coming off the snowy street. Most clerks didn’t have a clue until one of them said “you need to see Mrs. Bluestein on the 3rd floor.” Mrs. Bluestein was the tassel specialist, she had every color, every length, and many different materials. I selected three different lengths, in red, green and black in the same silky material graduation tassels were made of. Now how do we get them put together? Back to the hotel, the doorman couldn’t help me but he spoke to some of his fellow workers and one of them suggested two Italian brothers who had a shoe shop near Carnegie Hall that specialized in footwear for ballet, operas, and stage events. One more hike through the cold because of the taxi strike. When I got to Carnegie Hall I found their shop on the fourth floor. Inside was a single room about the size of a large bedroom with a very high ceiling. The brothers were small men with big whiskers surrounded by stacks of all different shoe types: ballet toes, boots, shoes and leather pieces with no particular definition between unfinished pieces and those ready to go. I explained what I wanted done and they said it would be no problem, I could come back in a week. I told them I needed the shoes in two days; they said not possible. I told them what and who they were for and immediately they said they could do it in one hour, which they did and asked me to tell Ali who they were. I started to open the shoe bag and Ali politely asked Angelo to leave, which surprised me. I brought out the shoes and you could see the surprise in his eyes. He held a shoe up and tipped it back and forth to see the swishing of the tassels, and he looked at the colors. He took the white shoe with red stripes and laced it up, stood on the carpet and shuffled back and forth looking in the door mirror. “This is the one” he said. We discussed it a bit and then I had to go. He said “Don’t tell anyone about this, not even Angelo. I’ll see you tomorrow at the weigh-in”. The weigh-in was at Madison Square Garden in the room just below the main floor. This room was used for smaller events. For the weigh-in, all the seats and the equipment were taken out so it was an empty room with a cement floor. Up at the front there was a small platform approximately 1 foot high, 10 feet deep, and 15 feet wide. On the platform was a small table with 3 or 4 chairs and microphone and flat platform scale. The only light was above the platform and in front of it was approximately 50-75 men from the media. I was standing clear at the back in the dark. After the weigh-in came the question and answer period. The reporters didn’t have too many questions for Bonevena, but when Ali took the microphone there were a lot of questions which he pushed aside and said, “See that guy (me) back there? He was sent over here from Germany for me to help design the best boxing shoe in the world, and you will see it for the first time tomorrow night.” This started a lot of questions of which he would answer but never tell them what was special, even when the guys would try to get him off the “secret” he would slide back. A little side story: when the weigh-in was over, all of us were walking upstairs to the main floor where there was a college basketball game on half time warm-up. This had to be two black schools because there was not a white person on the floor. When Ali walked out everyone went crazy! The players passed a ball to him which he handled very well and began horsing around with the players until the referee told him the second half had to start. He was standing on the mid court line and took a shot that was only about 2 inches short of making basket; the crowds went wild once again. As usual he was loved by all. The next night, December 7, 1970, Ali won his fight over Bonavena. Ali held the top of the heavy weight boxers until March 8, 1971, the night of the “Fight of the Century” when he was defeated by Joe Frazier. Joe and Ali did not care for each other, but surprising to me when I called on Frazier’s training gym in Philadelphia, he told me he wanted the same shoe Ali had, but white with green stripes. 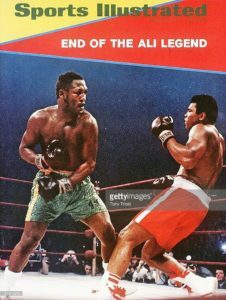 The cover of Sports Illustrated that showed Ali landing on his back with Frazier leaning forward was probably the best success I had in the great time I had working for Adidas. World champion boxers on the cover of Sports Illustrated, the best sports magazine in the world, and both fighters wearing the shoes with the three signature stripes of Adidas. 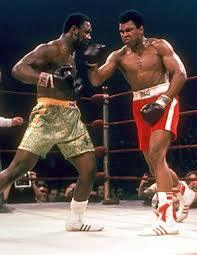 Ali with red stripes and Joe with green stripes. Tagged Adi Dassler, Adidas, Angelo Dundee, Argentina, athletes, basketball, boxing, Bundee Brown, Cabo San Lucas, Carnegie Hall, Cassius Clay, Central Park, collegiate, cross country skiing, Fight of the Century, Germany, Horst Dassler, Joe Frazier, John Bragg, Madison Square Garden, Mary Bragg, Mrs. Bluestein, Muhammed Ali, New York, NFL Football, Olympic Games, Oscar Bonavena, Pancho's, shoes, Sports Illustrated, St. Regis Hotel, tassels, tequila, tequila expert, track and field. Yesterday, June 20, was the birthday of two beautiful young friends of mine who are both, ironically, named Crystal. Not a common name, and I only realized last year that they shared the same birthday. One of the definitions of the word “crystal” is glass of fine quality with a high degree of brilliance. Change the word “glass” to “woman” and it perfectly defines both of these amazing ladies. Crystal #1 is a brilliant jeweller in San Miguel de Allende in Mexico that I met in Puerto Vallarta many years ago. She is talented, resourceful, passionate and someone whom I admire and love very much. She became my second unofficially “adopted” daughter about fifteen years ago. The distance between us has kept us from actually seeing one another in person very often, but we stay connected and always pick up exactly where we left off. Crystal #2 is a wonderful young woman whom I met at a major oil and gas company in Calgary where we were both working. 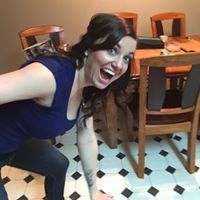 She moved to a smaller city in Alberta to continue her work in a petroleum-related business until a call back to the land took her back to her rural roots in Saskatchewan to fulfill her dream to take over her family’s farm. I bring these young women up and the topic of synchronicity because my life seems to be surrounded by so much of it. Perhaps some of us are just more aware of these coincidences than others, or perhaps some of us actually experience these occurrences more frequently. 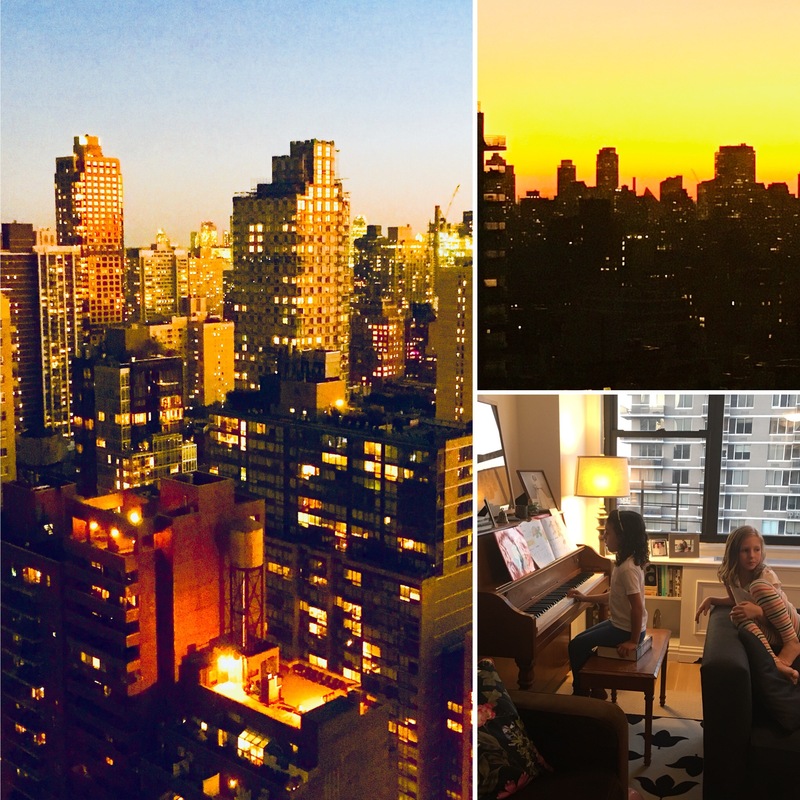 I was travelling from JFK in New York to Calgary yesterday and met a delightful young woman, Karen, from northern Germany, who has been living and working in Canada as an au pair. We struck up a conversation while waiting for the WestJet check-in to open and shared some great stories and histories. 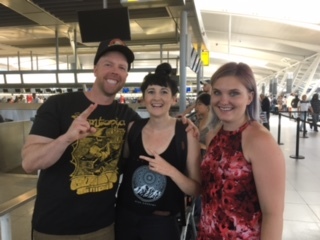 While we were waiting, a couple from Calgary, Candace and Hunter, lined up immediately behind Karen and commented that they had been seated next to her on the flight down from Calgary to JFK, randomly saw her several times in New York, were on the same subway train back to the airport, and then ultimately ended up in line immediately behind her again. As cliché as it may sound, we all agreed that it was a very small world indeed that was, in fact, getting smaller every day. My most memorable story of personal synchronicity happened almost 15 years ago with Crystal #1, one of the young women that I introduced earlier. 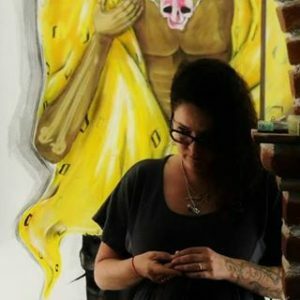 I had been in Mexico City probably seven years earlier where I spent several days with an amazing tour guide by the name of Emilio. Emilio was in the first graduating class of the University of Mexico after the Second World War and had so much knowledge and many extraordinary connections to make my time with him incredibly special. Fast-forward seven years and I was in the busy Zocalo area of Mexico City with Crystal and her friend, Zacbeeh. We had been buying jewelry materials for Crystal and were just on our way back to the Metro to head to Zacbeeh’s for the night. We were walking down the street and I looked and, much to my amazement, saw Emilio on the sidewalk right beside me – after so many years! Before this latest trip, he was the ONLY person that I knew in Mexico City – a city with a population of over 18 million. I remembered him and he remembered me. We embraced and quickly caught up, much to everyone’s amazement. I’m not a religious person, but do consider myself to be spiritual. When these sorts of occurrences happen, I always feel incredibly blessed and that my angels are telling me that, wherever I am and whatever I’m doing, I’m on the right path. It really is a small world after all! Tagged airport, Alberta, angels, au pair, birthday, blessed, brilliance, Calgary, Candace, cliché, coincidences, Crystal, daughter, dream, Emilio, family's farm, glass, Hunter, jeweller, jewelry, JFK, June 20, Karen, Metro, Mexico, Mexico City, New York, northern Germany, occurrences, oil and gas company, petroleum, Puerto Vallarta, rural roots, San Miguel de Allende, Saskatchewan, Second World War, small world, spiritual, subway, synchronicity, train, University of Mexico, WestJet, woman, Zacbeeh, Zocalo. 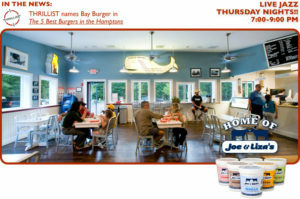 There is a roadhouse family restaurant in Sag Harbor, New York, that we try to get to every Thursday night. Bay Burger makes really good burgers and their lobster rolls are delicious. We love their fresh veggie sides and their Joe & Liza’s homemade ice cream is wonderful (free ice cream on Wednesdays with your lunch or dinner – you can’t beat that!). Although it’s jam-packed (no pun intended!) and chaotic on Thursday nights, we absolutely LOVE coming out to listen to the live jazz which is led by Claes Brandal and features the Thursday Night Live Band every week. 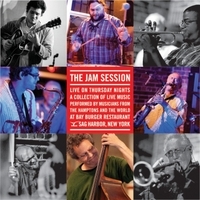 If you miss coming out, you can always listen in to the Jam Session Radio Hour every Wednesday night at 7:00 EST on WPPB 88.3 F.
You never know who you will see there jamming and we have heard some truly world class entertainment (a week ago Thursday we saw world-renowned trumpet and flugelhorn player, Randy Brecker, and his beautiful wife, Ada Rovatti, a brilliantly talented saxophonist, jamming with the locals. There was a line-up of performers out the door that night, but the highlight was a young man of fifteen who stepped up to play sax with this cast of seasoned talent. I’m sure it was a night he’ll always remember, as we will, and he’ll be someone to watch in the years to come. Tagged 88.3 FM, Ada Rovatti, Bay Burger, burgers, Claes Brandal, family restaurant, flugelhorn Randy Brecker, highlight, homemade ice cream, Jam Session Radio Hour, jamming, live jazz, lobster rolls, locals, New York, performers, roadhouse, Sag Harbor, sax, Saxophonist, Thursday, Thursday Night Live Band, trumpet, veggie sides, Wednesdays, world-class entertainment, WPPB.